Charter School Insurance Kentucky. Charter schools offer so many wonderful benefits for their students. Children have the opportunity to gain a comprehensive education in a safe and inviting environment while developing lasting relationships with their educators and fellow students. If you are thinking about starting a KY charter school, there is no denying that there are a lot of considerations and decisions to be made. One thing that you don't want to overlook is getting the right insurance coverage. Charter schools are required to carry insurance coverage, though their needs are much different than the insurance needs of other types of industries. To find out more about the types of charter school insurance Kentucky coverage you will need to operate a charter school and protect your staff, your students, and your establishment, keep on reading. 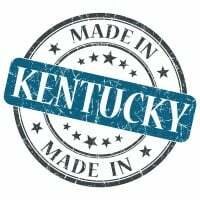 Charter school insurance Kentucky protects your public school of choice from lawsuits with rates as low as $167/mo. Get a fast quote and your certificate of insurance now. How Much Does KY Charter School Insurance Cost? Request a free Charter School Insurance Kentucky quote in Alexandria, Ashland, Barbourville, Bardstown, Beaver Dam, Bellevue, Benton, Berea, Bowling Green, Brandenburg, Cadiz, Calvert, Campbellsville, Carrollton, Central, Cold Spring, Columbia, Corbin, Covington, Crescent Springs, Crestview Hills, Crestwood, Crittenden, Cynthiana, Danville, Dawson Springs, Dayton, Douglass Hills, Eddyville, Edgewood, Elizabethtown, Elsmere, Eminence, Erlanger, Flatwoods, Flemingsburg, Florence, Fort Mitchell, Fort Thomas, Fort Wright, Frankfort, Franklin, Georgetown, Glasgow, Graymoor-Devondale, Grayson, Greenville, Harrodsburg, Hartford, Hazard, Henderson, Highland Heights, Hillview, Hodgenville, Hopkinsville, Hurstbourne, Independence, Indian Hills, Irvine, Jeffersontown, La Grange, Lakeside Park, Lancaster, Lawrenceburg, Lebanon, Leitchfield, Lexington-Fayette, London, Louisville, Ludlow, Lyndon, Madisonville, Marion, Mayfield, Maysville, Middlesborough, Middletown, Monticello, Morehead, Morganfield, Mount Sterling, Mount Washington, Murray, Newport, Nicholasville, Oak Grove, Owensboro, Paducah, Paintsville, Paris, Park Hills, Pikeville, Prestonsburg, Princeton, Prospect, Providence, Radcliff, Richmond, Russell, Russellville, Scottsville, Shelbyville, Shepherdsville, Shively, Simpsonville, Somerset, Southgate, Springfield, St. Matthews, Stanford, Stanton, Taylor Mill, Union, Versailles, Villa Hills, Vine Grove, Walton, West Liberty, Wilder, Williamsburg, Williamstown, Wilmore, Winchester and all other cities in KY - The Bluegrass State.